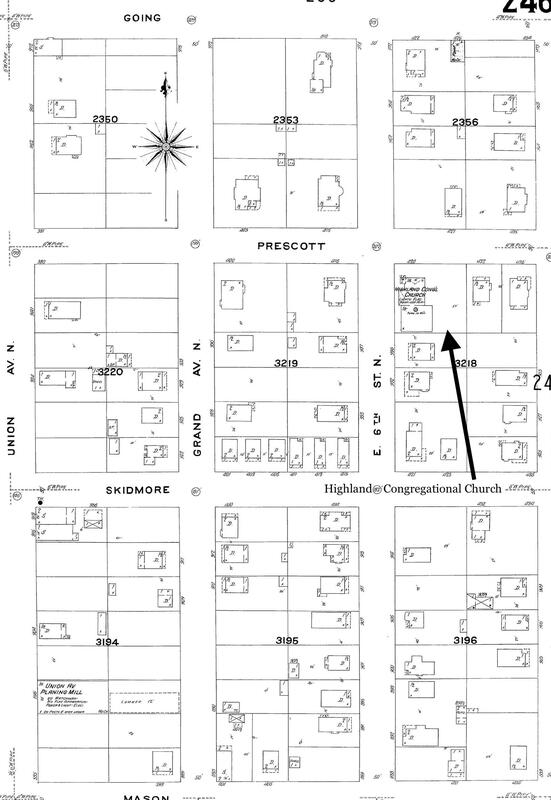 AH readers know we like nothing better than a good history mystery, so we were intrigued when a reader asked recently about why NE Prescott makes a jog south between NE 33rd and NE 37th. In this case there is no one single reason: it’s multiple reasons related to changes in surveying proficiency, the passage of time, the helter-skelter nature of developers operating at the edge of the city limits in 1900, and a complete absence of planning in our turn-of-the-last-century city. The Grid: Back in 1850, surveyors used a grid to map Oregon and to organize our landscape into big boxes and small boxes, known as townships, ranges and sections. In Northeast Portland, our main east-west streets are organized on section or half-section lines. Prescott (all but the four-block stretch we’re talking about here) rests on a half section line. The Plats: Portland has more than 900 of these: a plat is basically a plan that divides the land into lots and streets. Developers were in charge of their own plats, and gave them unique names, some of which are pretty interesting. A plat called “Willamette Addition,” drawn and filed in 1888, contains the area from Skidmore to Killingsworth and from NE 33rd to NE 37th. Of particular note: running along the bottom of that plat is our mystery stretch of Prescott between 33rd and 37th. The Willamette Addition was anchored on the south boundary to what in 1888 was thought to be the half-section line (the future Prescott). 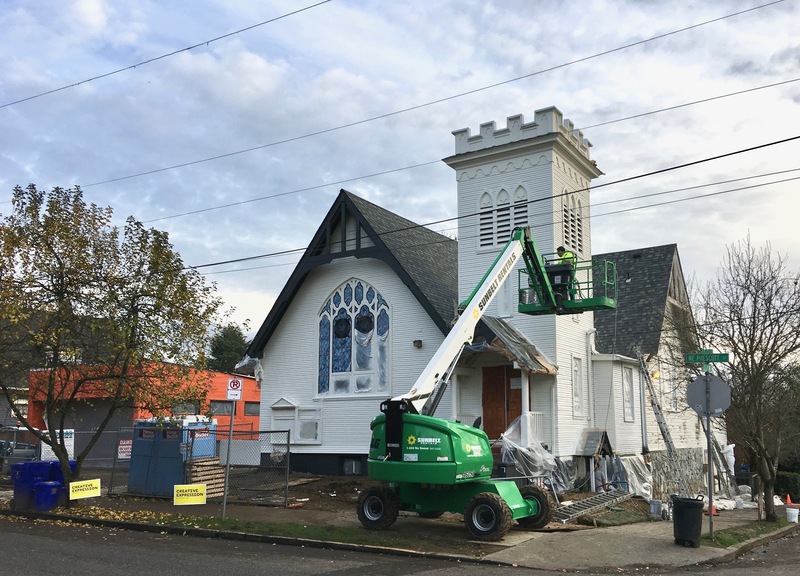 Actual development of the Willamette Addition didn’t happen until the 1920s, and in many cases much later. Our maps pages shows both Alameda Park (the neighboring plat to the west, 1909) and Wilshire (the neighboring plat to the east, 1921), which were laid out decades later by different developers using different survey technology. And guess what: the location of the real Prescott (in alignment with the more-recently-surveyed half-section line) moved about 75 feet to the north. But meanwhile the Willamette Addition was still just a drawing and raw land owned by different developers, with it’s weirdly offset four-block southern boundary, which was referred to as Columbia Street, stuck on the grid of 1888 and quickly becoming irrelevant. The developers of Alameda and Wilshire weren’t in control of the Willamette Addition, but they had to build streets around it and needed to tie their new neighborhoods into the actual half-section-line-based street we know today as Prescott. So, build they did, marooning this yet-to-be developed four-block stretch of “Columbia Street” 75 feet to the south, and necessitating eventual construction of the s-curve jogs we know today when development of the Willamette Addition finally followed years later. There’s a story behind everything. That’s why we love history!